I want to use my education to help China successfully navigate its way through these dramatic changes and become a better-developed country. 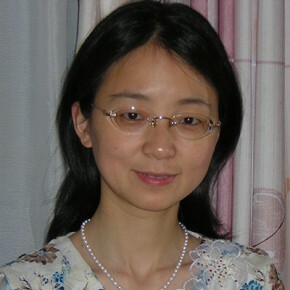 Hong earned her MA and PhD at the Shanghai University of Finance and Economics (SHUFE) while winning major prizes and scholarships. In 2006, she was appointed Associate Professor at SHUFE, where she teaches in the Department of Public Administration. Prior to becoming a Sauvé Fellow, Hong was an investment manager at Shanghai Xinghai Investment Consultation Co., focusing on policy research. Her prize-winning doctoral thesis explored the fairness and real distribution of taxes between different social groups, young and old, female and male. Hong has published over a dozen influential papers, on topics ranging from science and education strategy, tax reform and taxation policy, public finance, banking policy, securities markets, to China and the WTO. Hong worked on a ‘Pu Jiang’ project on “The Sustainability of the Pension System in China” for the Shanghai Municipal government and published a book in 2006, ‘Pension Schemes and Arrangements Abroad’ (in Mandarin) as well as a few new academic papers.